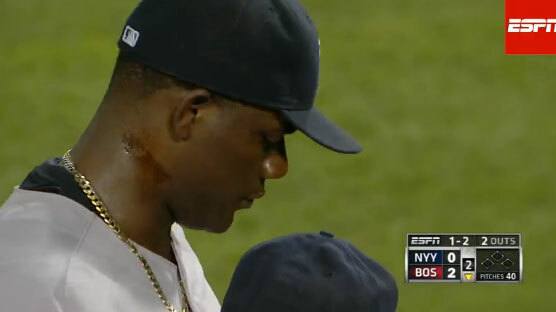 Is that a love bite or some foreign substance on Yankee pitcher Michael Pineda’s neck? Some guys just never learn. Michael Pineda caught a break once for allegedly cheating in Major League Baseball, but not this time.